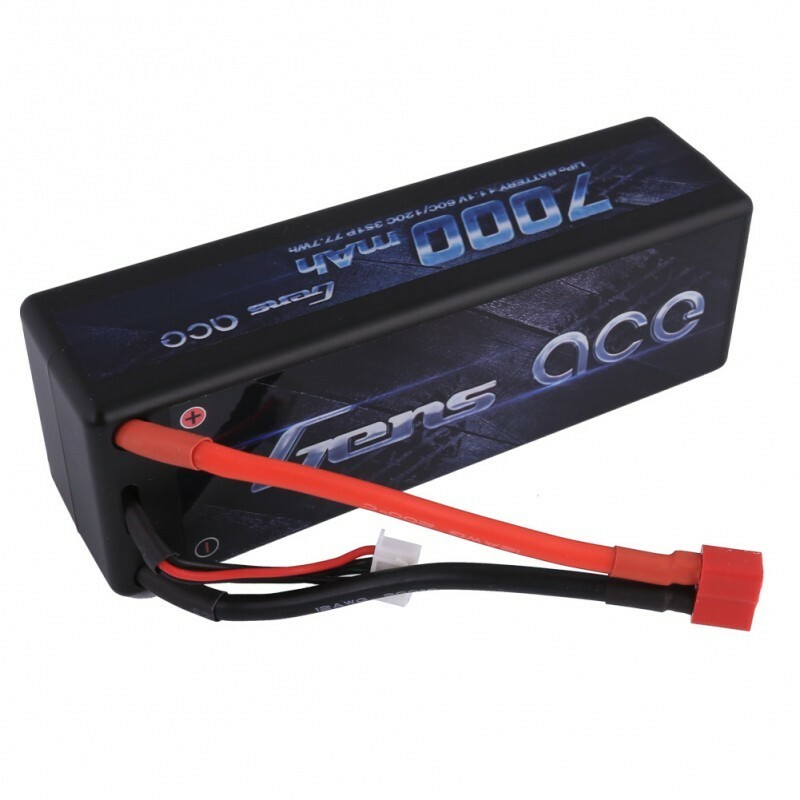 Gens Ace 7000mAh 11.1V 60C 3S1P Lipo Battery packs with Hardcase, perfectly fit for 1:8, 1:10 car model, such as Traxxas Rustler. Gens Ace 7000mAh 3S 11.1V Lipo battery hardcase pack is a great choice for any models with high capacity needs. 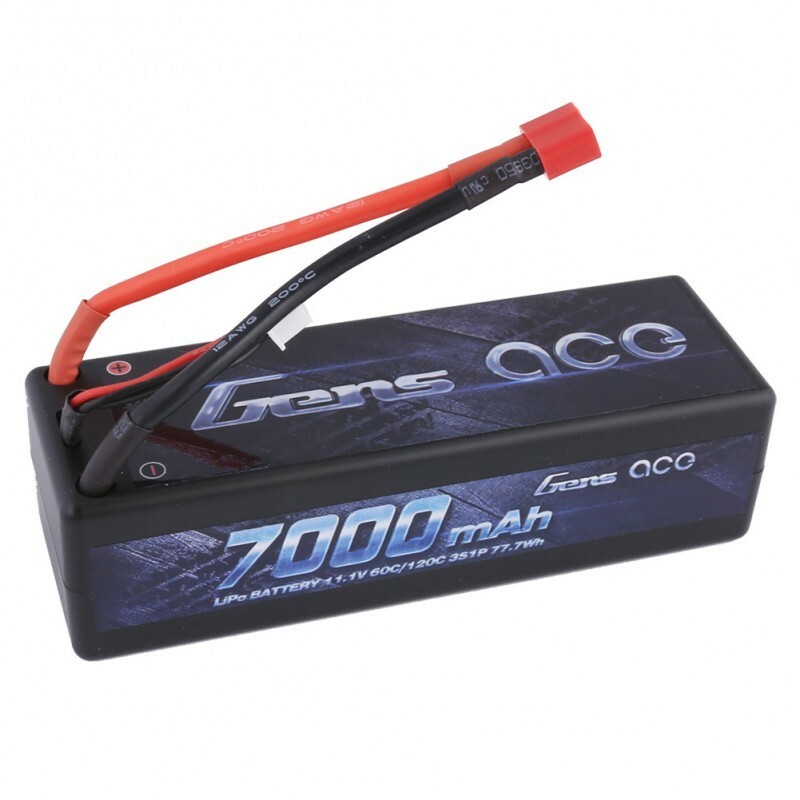 This battery packs a ton of power in a compact form factor gives you the power and run-time you expect from Gens Ace LiPo batteries. 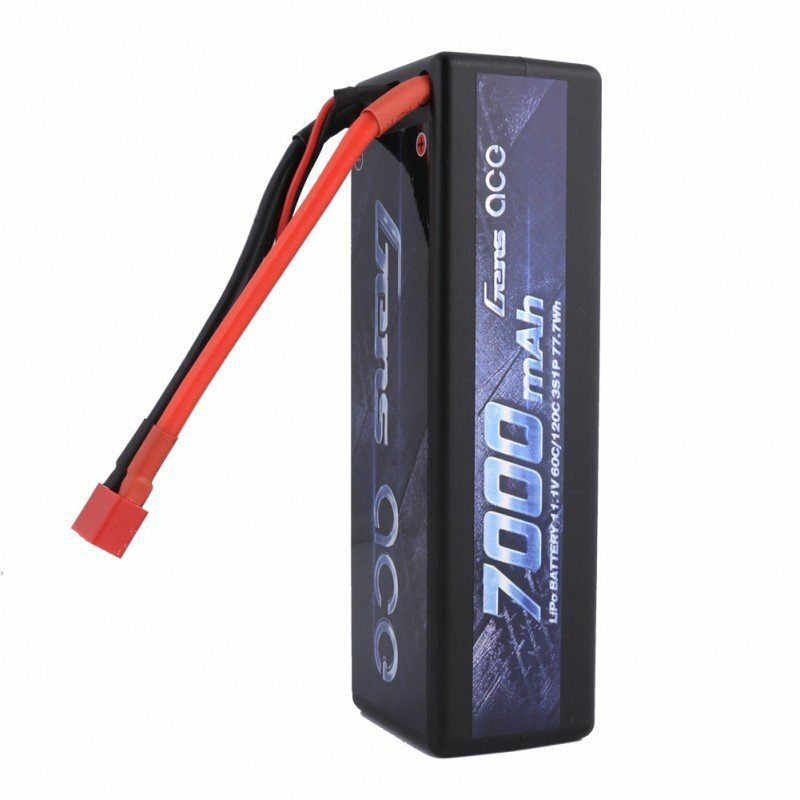 -High discharging rate enables single-cell capacities of 7000mAh. -The most strict single cell capacity, voltage, resistance, discharge curve matching process. -Remarkable performance and long cycle life and fast speed. 4.Energy Density: Special adapted to each UAV type and RC car/boat/heli type. Very High according to capacity/weight. In fact we are specialists of High Power Lipo Batteries. It is our unique technology, the highest power of our battery is 100C. Another technology is our batteries are able to be stably discharged simultaneously.